Cherries are packed with unique anthocyanins and other compounds that naturally reduce inflammation. These compounds deliver comparable anti-inflammatory activity to ibuprofen (Advil) and naproxen (Aleve) without the significant side effects! These powerhouse nutrients are responsible for the deep colors in some berries, fruits, and vegetables. Naturally, like other anthocyanin-rich foods, tart cherries also provide strong antioxidant activity. Tart cherries are superior because they provide high levels of some novel anthocyanins that are not present in other anthocyanin-rich foods, such as blueberries or bilberries! Studies have shown that the anthocyanins, found in tart cherries, can switch off genes involved in the multiple pathways of cancer. Anthocyanins can also trigger apoptosis, the programmed cell death that causes pre-cancerous cells to self-destruct. Tart cherries are a natural source of melatonin, a hormone that helps regulate the sleep-wake cycle. Studies have shown that drinking tart cherry juice twice a day helped to increase sleep time. Gout is an incredibly painful form of arthritis caused by a build up of uric acid crystals in the bloodstream. It usually effects the big toe, but can cause pain in other joints as well. Uric acid is naturally found in our bloodstreams, but when too much of it builds up, it forms into crystals. What causes gout can simply be blamed on too much sugar, alcohol and meat in the diet. Not everyone who over indulges in these items will have gout, so genetics are involved as some are more disposed to gout than others. The bioflavonoids and anthocyanins in tart cherry fight inflammation and lessen uric acid levels in the blood. Less uric acid in the blood means less work your kidneys have to do, keeping the buildup of uric acid down and eliminating those harsh, sharp crystals. 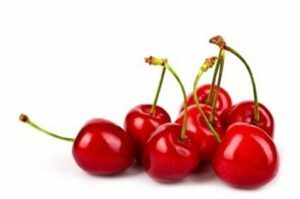 The compounds found in cherries modulate numerous pathways to protect against other conditions associated with inflammation — including cancer, cardiovascular disease, metabolic syndrome, and Alzheimer’s disease. A study published in the 2009 Journal of Medical Food concluded that tart cherries decrease the risk for Type 2 diabetes and heart disease. Tart cherry juice contains one of the most powerful antioxidants that exists, quercetin. Among other functions, quercetin prevents oxidative damage caused by free radicals from damaging low-density lipoprotein (LDL cholesterol), according to a study published in European Review for Medical and Pharmacological Science in 2013. When LDL cholesterol is oxidized, it is more likely to adhere to artery walls, forming plaque which contributes to heart attack and stroke. The anthocyanins in tart cherries have powerful antioxidant and anti-inflammatory properties. Of all the cherries, tart cherries contain the highest level of this potent red pigment, thus have the strongest healing potential. The anti-inflammatory power of tart cherry it is very effective at relieving joint pain. Running and exercise can induce muscle damage that generates inflammation and with that, burning, stiffness and pain. The anthocyanins in tart cherry is effective in protecting against this type of injury by inhibiting the pain and inflammatory effects.